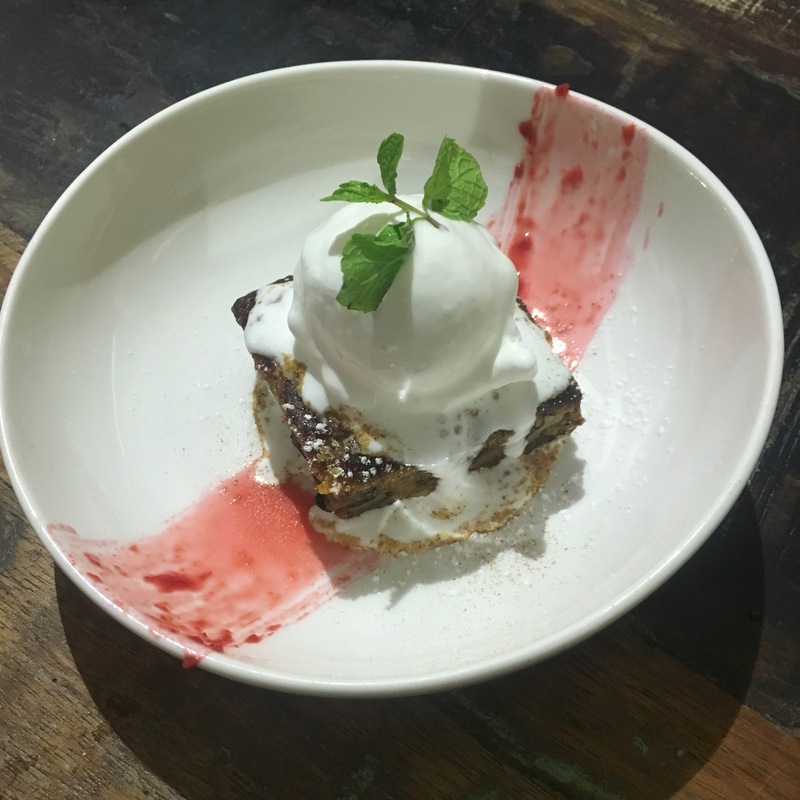 Next time you are at Bandra reclamation or near-by & hungry, ditch the old fav candies & visit this tiny yet awesome place called Foodgasm. 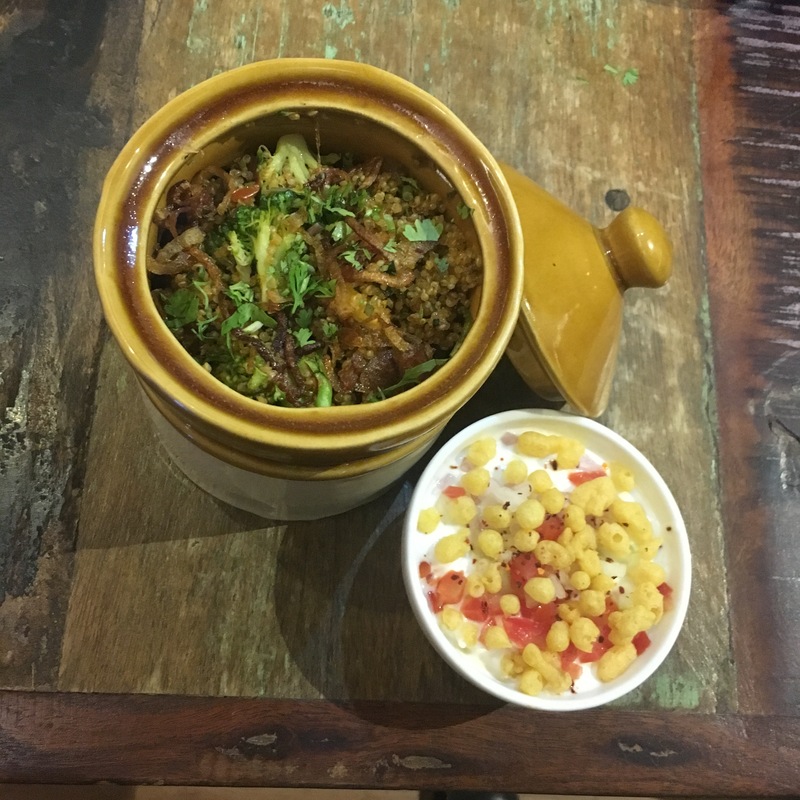 Located in the row of doolally, foodgasm doesn’t have any gimmicky board/interiors. A café kinda setup with wooden tables & colourful metal chair form the set-up. Unlike the other bloggers table, this one was a Veg table which meant more veg dishes could be tried without any wastage. 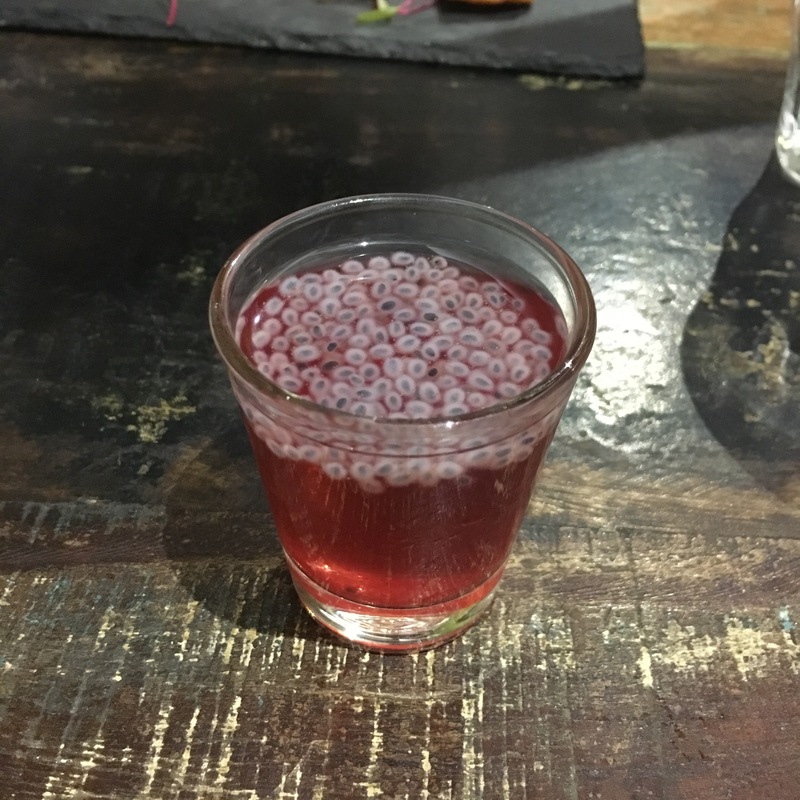 A maroon coloured drink topped with Sabza served in a shot glass was the welcome drink. For starters, we had Turkish Punjabi, Popeye Idli & Pesto-fied Cottage Cheese. Turkish Punjabi turned out to be the show stopper. Spinach, Mozzarella & feta stuffed in a pastry kinda bread & deep fried. Served with micro-greens on top, this was a great contrast of textures – soft, melt-in-mouth filling & the crunchy n fried bread. A MUST-HAVE for everyone. As the name suggests Popeye Idli is Green idli’s topped with South-Indian style veggies – carrot, corn, coconut in a tadka, served with a tomato chutney. Fluffy idli’s with a very mild flavour of spinach – I would like the flavour to be a little strong – served with a tangy tomato chutney. The chutney had a strong vinegar taste, which made is really tangy. I enjoyed the idli’s on its own. Chunks of grilled paneer covered in a green sauce made their appearance next. Honestly for me, this was a good tandoori paneer, could barely taste the pesto. While we were planning on what the main course be, we were warned to have enough space for desserts. Main course included Baked Pumpkin Feta, Mushrooms from Koh-Samui, Shakahari Keema Biryani & Quinoa biryani. Looks can be deceptive. This statement holds true for the baked pumpkin feta. The simple look pasta is a great balance of flavours. 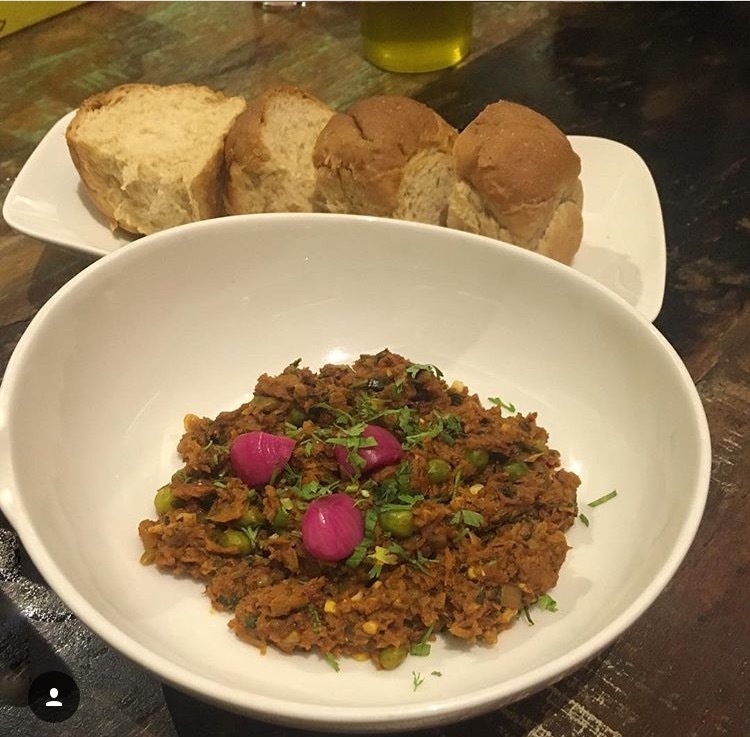 Soya granules & minced mushrooms kheema served with sirka pyaaz & whole wheat pav. Chunky, chewy with great flavours from the khada masala, this is one good Kheema. Ignore the wheat pav & hogg away. 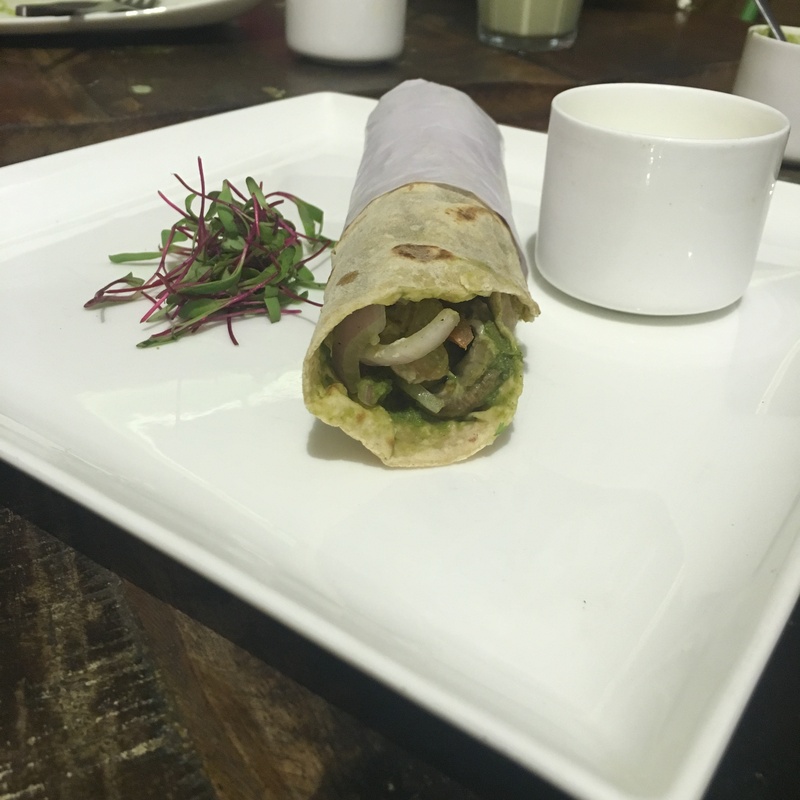 Wrapped in a whole wheat wrap are chunks of mushrooms marinated in a creamy sauce, with onion slice, a perfect on-the-go roll. A traditional bharni was presented along with a small bowl of boondi raita. Open the lid & veggie including broccoli, carrots, etc coated with Quinao is seen. A healthy option for biryani lovers who wish to skip the rice in their Biryani. Nowhere close to the traditional biryani taste, this is close to a masala rice preparation. Flavourful & healthy. Along with the food we tried some beverages. Power shot turned out to be a Super super drink. Banana, musk melon, dates, almond, honey & milk blended really well. 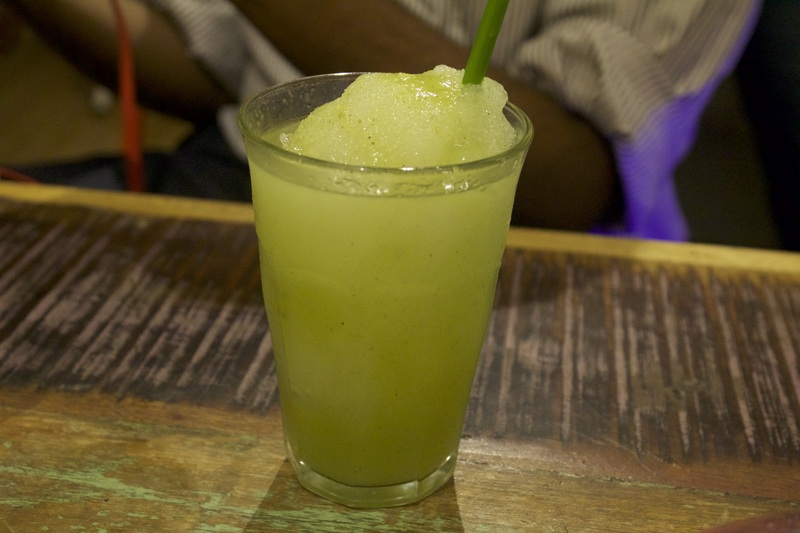 Thick, luscious – another great option for the health freaks. 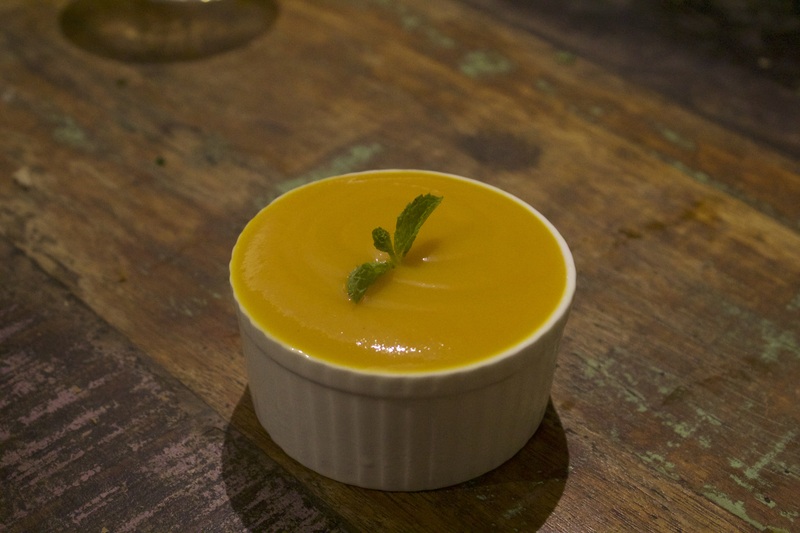 Dimag Ki Dahi – Under a layer of mango puree is hidden the silky-smooth yoghurt. The spoon just slides through & the dessert just disappears in the mouth. The tanginess of the mango is balanced by the yoghurt. Bugs Bunny Cake – Soft-gooey carrot cake with ice-cream, brings a happy smile on your face. For me – the mild sweetness works perfectly. 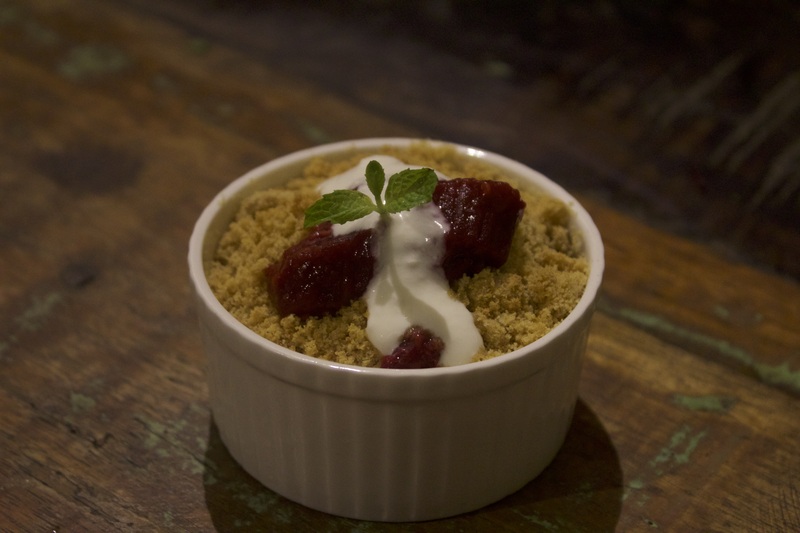 Raspberry Rhubarb Split – Thanks to master chef, I have been watching & hearing loads about rhubarb. Finally tasted it here. This was really really tart for my palate & I couldn’t go beyond my first bite. Being a small place, it’s quite cozy. The presentation is not over-the-top but doesn’t fail to catch your attention. Staff is polite but needs to be a little attentive. Priced at par with the other restaurants, the quantity is VFM. Next time in reclamation, do visit foodgasm. ← Its All About The Free Food!!! !